Since July 2015, I have worked on several projects as a UX designer at Oracle. But due to NDA, I will only show limited information. To see entire UX process, please refer to my other projects. Project. Studio Performance Analyzer is an analysis tool for developers to optimize their code. Goal. Examine and improve the current user interface to make it easier to learn, easier to use and pleasant to look at. Main Practice. I conducted interviews with users, revisited the flow with developers and improved the UI through iterative design and mockups. Challenge. The biggest challenge is to prioritize requirements while designing. Although I was able to come up with designs based on users' feedback, I also need to consider design needs and development limitations for both existing and new features. This further trained my product management skills. Through holistic analysis and prioritizing, I was able to define requirements and shape designs that accomodate both development and user needs for this project. Project. 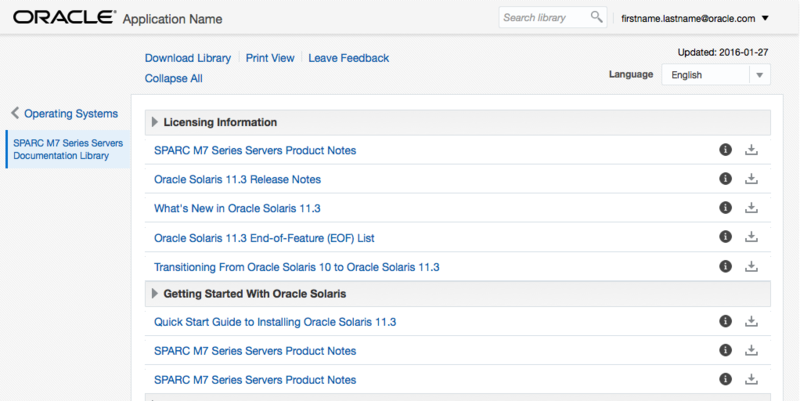 Oracle documentation library (Help Center) system-side documentations. Its users are Oracle System users. 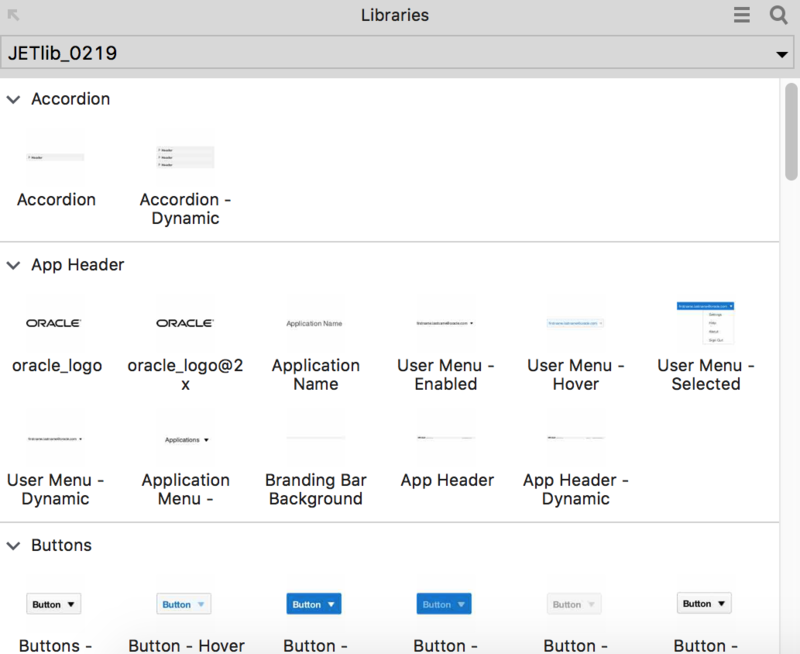 - Reskin the original look and feel into Oracle Alta design system. - No change to functionality unless UX or bug related. Main Practice. I designed mockups using Axure widget library that I created (see Tools) to discuss new designs with the project architect. Tools. Oracle Alta and JET are a relatively new design system and its supporting toolkit developed by Oracle. To facilitate this project's design and UX team’s future work, I created a widget library in Axure, containing components that are in compliance with Alta style and ready to use in Axure. The library has a problem that its components are high-fidelity that development teams may take its prototype as final designs. I would definitely revisit the components in the future if time permits. Project. 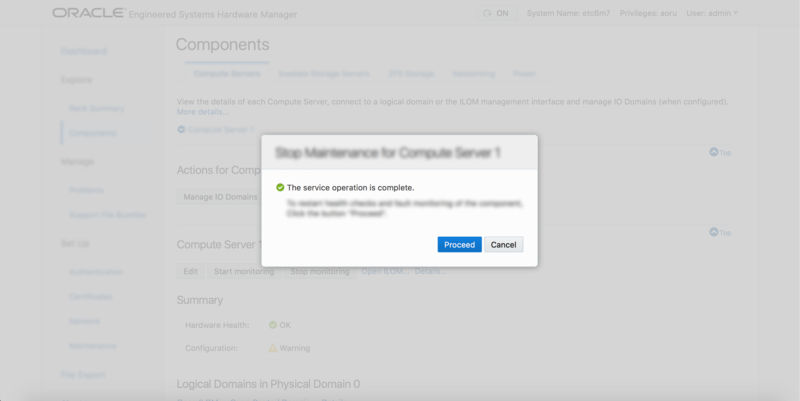 Oracle Engineered Systems Hardware Manager is a hardware management tool. Its users are Oracle service personnel who wants to browse hardware inventory or health information. Goal. Reskin and prototype ESHM user interface based on Oracle Alta style guide. Main Practice. I worked closely with a visual designer to redesign and prototype several features of ESHM (one feature a week). I mainly use HTML and CSS to prototype and demonstrate the design to the ESHM team. Takeaway. A good product is consisted of smooth user experiences, pixel-perfect design specs, stable codes and much more. It is very important that different roles involved in a product communicate frequently and cooperate with each others with an open mind. In this project, working with visual designer as a prototyper helps me understand this better and demonstrates the strength of collaboration. It also further trained my prototyping skills in a practical setting.